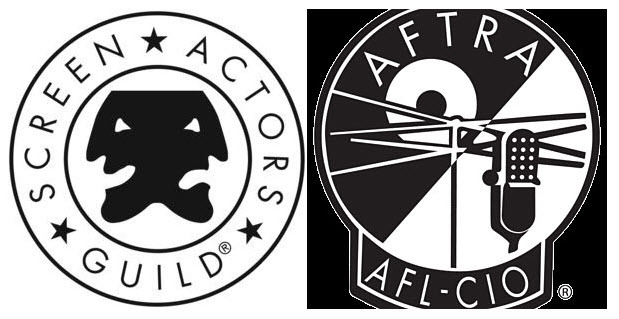 The neat freak inside me wants the proposed SAG/AFTRA merger to succeed. I dislike wasteful duplication, gratuitous redundancy, and top-heavy bureaucracies. I’ve been told talk of a merger has been around about as long as the proposal for a high-speed train between Las Vegas and LA — decades. On the surface, the latest proposed merger makes sense — but I’m not privy to any of the internal struggles, the personalities involved, nor the certain logistical challenges. I don’t know the history, and I don’t particularly want to. Endless union v. non-union debates on public forums solve nothing, but bring to light some interesting sentiments, not the least of which is that a common stand on setting rates in the market (certainly a union function) is desperately needed now in this realm. My interest lies in a union that works, that is lean, agile and responsive to its members and the market. I’d love to see a union that isn’t LA or NYC-centric. What I’d really like is for someone to explain what a paymaster is, and how that model fits into a voice-acting world that operates more and more on independent freelancers directly interacting with their clients. I’d respect a union whose policies don’t drive members into hypocritical aliases on the P2P sites. It’d be great to see a union that actually holds it’s VO members to a standard of technical and performance benchmarks (like SaVoa), instead of allowing in anyone who has enough money to pay the dues. I’m told SAG and AFTRA detests being made to accept Fi-Core. Tough. I’d love to see all 50 states be right-to-work states. Well, that turned into kind of a rant. Bettye Zoller, don’t call to scold me. 🙂 Bob Bergen, where am I wrong? Both Zoller and Bergen are highly-respected master talents in this business who hold high opinions of the potential of a union for all VO’s…and both have voluminous knowledge of this issue that I don’t possess. Still, I’m allowed my opinion on my blog, and this is what I know from what I see and hear: SAG and AFTRA as they exist now, do not seem answer the new challenges of the VO market brought on largely by the internet. Because of that, they seem to me to be irrelevant, behind-the-times, S-L-O-W, and disdainful of the rabble. I’d welcome your thoughts on this issue. Are you Union now? Why? Are you Fi-Core? Why? If you are not Union, would you consider signing up following a SAG/AFTRA merger? Below are some media articles I’ve searched that reflect the latest that’s known about the merger. Thanks for this ‘rant’ Dave. I concur that these unions need to have FORESIGHT and not always be BEHIND. That’s my opinion of what they have been. That’s PART of the reason I didn’t join as much as I can, being “must join” status for SAG. I love the concepts of the unions but two are 1 too many and this merger has been how many years in the wings? What’s needed are fighters for the freelancers and entrepreneurs that we as talent are. My 2 quick cents. I appreciate your comments, and your support! I agree…the CONCEPT behind unions (of all kinds) is pie-in-the sky great…but then human beings get involved (sigh), and in particular the abuses in union pension plans seem ubiquitous. As much as I hate to see the open free market system allow in those low-ballers…I also see the gears of open market making the union become irrelevant if they don’t adapt. The reason we’re very strong for unions in general and AFTRA in particular around here is that in a business in which your career is a body of work rather than work for one employer, you need an organization providing standards and you need health care and you need a pension. AFTRA has handled all three. Sure you can work off the card and get $250 a spot or less. Maybe you can put together a supplement to working at a day job if you go that route. But if you work union and you work consistently, you’re going to make a good living. SAG-AFTRA means better bargaining power for employees against employers. And abuses in pension plans? WTF? In the AFTRA plan your account is… your account. Your earnings dictate the amount of your pension. What abuses are you talking about? ‘Not sure who you are, but thanks for stopping by to add to the conversation. I’m choosing not to respond in detail for fear that the thread will degrade to the sort of argument that 99% of the OTHER online conversations about unions end up being. I support you stating your point of view.